This lunch has been a household staple since my husband and I got married. At the time, I was looking for something healthy but filling enough to hold me through my 10-11 hour workdays at Cleveland Clinic. These bowls can be eaten warm or cold- perfect for a hectic day or not being near a microwave. We’ve used barbecued chicken or pulled pork in the past, but lately I’ve been cutting back on the amount of meat I’m eating. Tempeh is a great sub. Are you reading and this asking yourself what the heck is tempeh?? It’s a traditional Indonesian food made by fermenting soybeans. Tempeh has more protein and dietary fiber than tofu. Some people prefer it’s nutty taste and consistency too. Are you reading this and saying to yourself soy is unhealthy??? Yes, our amazing American ingenuity found a way to process the heck out of soy products and use them as additives in everything (yay for us…). Yes, too much soy is bad. What is too much? Having soy at every meal (drinking soy milk for breakfast, tofu for lunch, and a soy burger for dinner). This is why eating a variety of ALL foods is important. For those without health issues affected by soy, small amounts are ok to eat. Not all soy products are created equal. 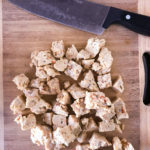 Tempeh is fermented and tends to be digested easier than other forms. Processed soy, like isolated soy protein or soy energy bars, are not. They may also block mineral absorption in the gut- so any good nutrients you eat alongside that soy burger might not be put to use in the way your body needs. Fermented foods like tempeh also help benefit the gut which is related to many health issues. 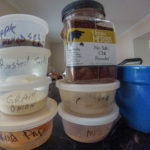 More on fermented foods and probiotics here. 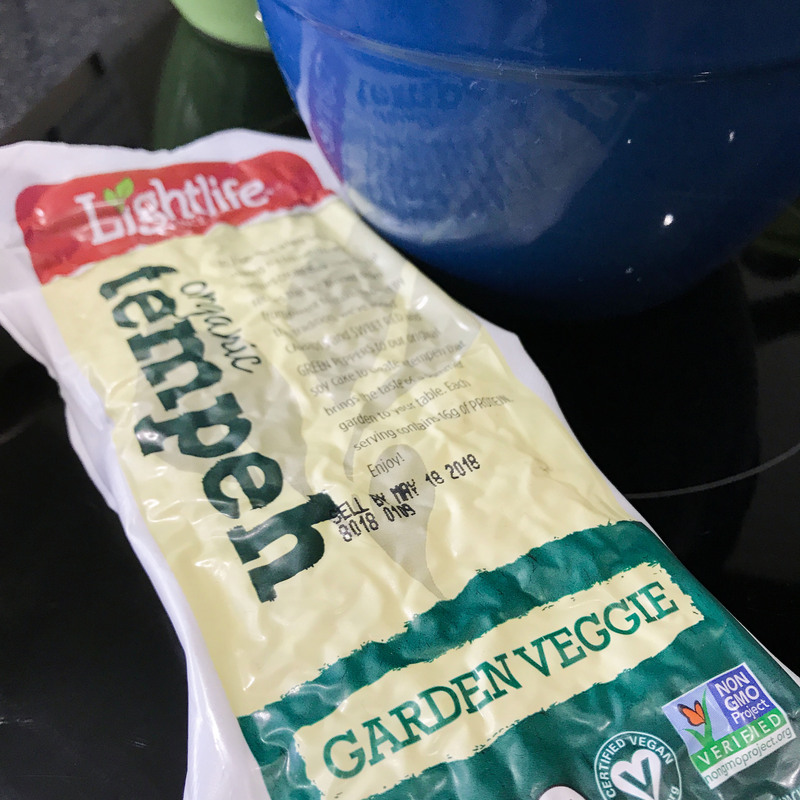 I used Lightlife Garden Veggie tempeh. Unrelated… but I have to say the fakin’ bacon version is pretty amazing on a vegan Ruben sandwich. I also used a dairy free version of cream cheese. Kite Hill is ridiculously good, but Daiya is great as well. Combine ingredients with some cream cheese to bind it together. You’ve got yourself a healthy lunch packed with nutrients to power you through the rest of your day! Nutrients from this meal to help you feel your best! BIG on flavor, creamy, satisfying. Dairy free, gluten free, and nutrient rich to fuel your body through it's busiest days. Easy to make. Can be eaten hot or cold! If making BBQ sauce: combine ingredients in a mixing bowl, taste, and add more of ingredients as needed. 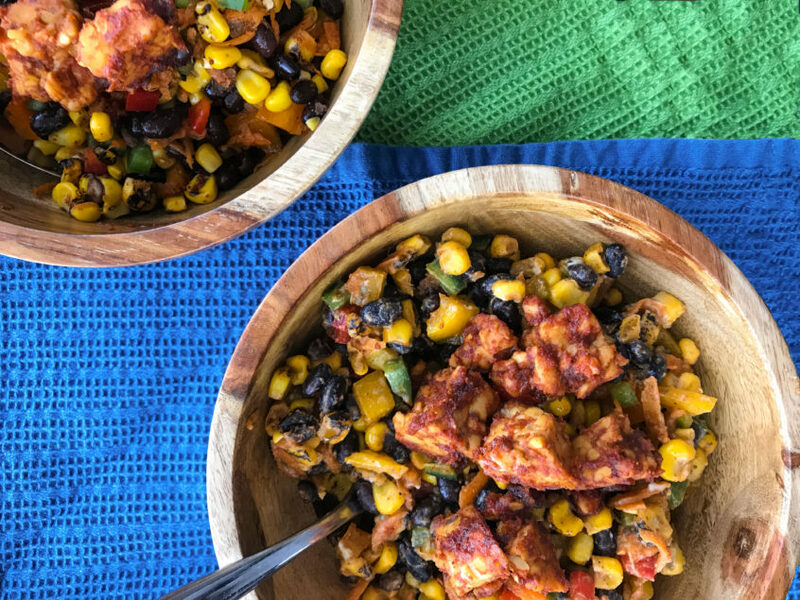 Chop peppers; combine with carrots, black beans, and corn in a large bowl. Add lime juice and seasonings, mix, and adjust to taste as needed. 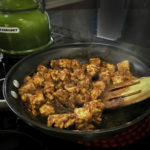 Remove tempeh from fridge; cook a stovetop over medium-high heat until slightly browned. Serve vegetable mixture in a bowl combined with ~2 tbsp cream cheese. (add more if you’d like a creamier consistency). Top with 1/4 of the tempeh. 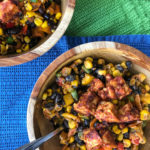 *The flavors of this recipe are best after refrigerating 60 minutes or overnight but feel free to serve immediately if you can't wait that long! Berardi, John et al. The Essentials of Sport and Exercise Nutrition. Precision Nutrition, Inc, 2017. What’s the Difference Between Tofu, Tempeh, and Seitan? 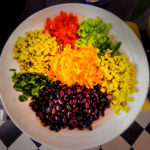 Precision Nutrition Blog: Becoming a vegetarian without giving up meat.